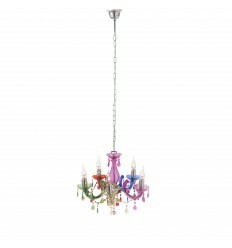 Child's Ceiling Lights - Hegarty Lighting Ltd.
Child's Ceiling Lights There are 7 products. 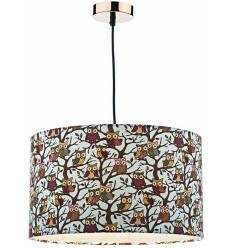 A linen textured easy fit non-electric shade with a duck egg colour background and an owl motif. These shades are designed to fit directly onto an existing lampholder and can be used either on a lamp or hung from a pendant. 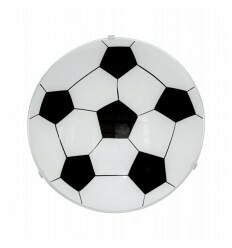 This is the perfect light fitting for any football fan! This semi flush fitting, ideal for a low ceiling, is made of a satinated glass shade finished with a black and white football design. The Oaks Lighting Lokura ceiling lamp shade is an acrylic non electric lamp shade available in four colours. The Miya 5 light ceiling pendant features a circular design ceiling plate with a chandelier style frame in an array of rainbow colours made from a mixture or acrylic and glass. This daring design is certain to strike up a conversation and will create a bold statement for any room within your home, proving vibrant colours for that individual look. 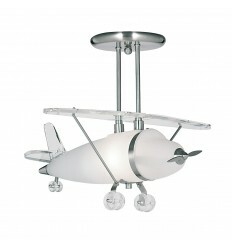 This Novelty Satin Silver Airplane Light with Frosted Glass is perfect for children and adults with a sense of fun. The modern airplane shade, with sleek metal ceiling fitting, is beautifully designed with a stylish satin silver and frosted glass finish, ideal for providing soft lighting for any childs bedroom. 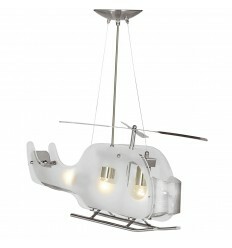 The helicopter ceiling light is suitable for children or those with a child at heart. Bright and cheerful with frosted glass panels and satin silver chopper details. 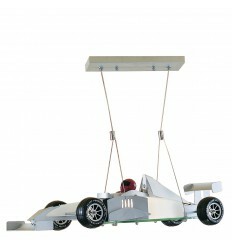 Suspended with adjustable height.